While most MSN programs enable existing nurses to enter specialized fields, a select few actually provide initial licensure for career switchers from non-nursing fields. Georgia Regents University in Augusta offers this type of “direct-entry” MSN program, in addition to its many MSN programs for existing nurses. The university’s Clinical Nurse Leader direct-entry MSN program spans 16 months of study. Applicants for direct-entry MSN programs must hold a bachelor’s degree in a non-nursing field and take the GRE exam. Potential MSN students should also be familiar with course prerequisites, which vary by university. MSN graduates can pursue specialized roles like nurse practitioner, nurse midwife, and nurse anesthetist. These advanced practice registered nurses (APRNs) earn significantly higher pay. 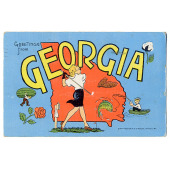 For example, Georgia’s RNs earn a median annual salary of roughly $62,000. However, the state’s average nurse practitioner earns about $88,000 per year, and its nurse midwives earn over $91,000 annually. Nurse anesthetist, the highest-paid APRN specialist role, commands a median annual salary in excess of $135,000. MSN graduates can choose from a broad range of active hirers in Georgia, including major healthcare providers like Piedmont Healthcare and Cobb Hospital. To help both existing nurses and potential career switchers, we’ve compiled a list of the best MSN programs in Georgia. You’ll find them organized below by major city.